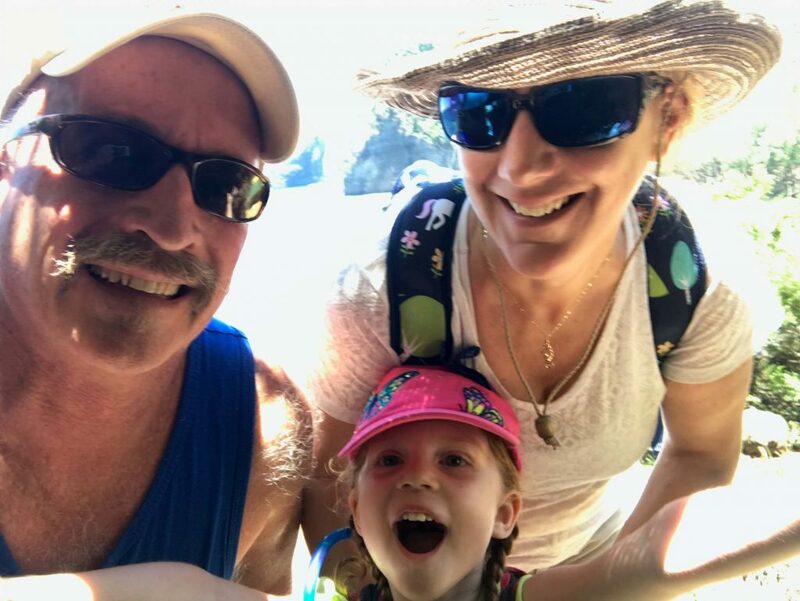 Jeff Schwerdtfeger poses with his wife, Jules, and daughter, Ella, during a hike in Hawaii. Photo courtesy of Jeff Schwerdtfeger. For Christmas dinner, Jeff Schwerdtfeger prepared an elk roast for his family. He slow cooked the rump roast in a macadamia nut glaze, giving a nod to the time they spend in Hawaii throughout the year. And by different outcome, he means getting thrown 20 feet in the air by a horse, landing on his back and being rescued from the backcountry. Schwerdtfeger lives in California and has visited Colorado for a number of years, targeting his hunting to the southern part of the state. He and his hunting partners typically engage with a professional outfitter each year and have been able to fill their tags each hunt. This year, however, he joined his best friend, Dave, and six others for a hunt in the Yampa Valley. 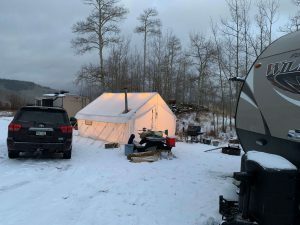 Base camp for Schwerdtfeger and his fellow hunters near the Yamcolo Reservoir in the Flat Tops Wilderness Area. Photo courtesy of Jeff Schwerdtfeger. Basecamp for the two-week hunt was near the Yamcolo Reservoir in the Flat Tops Wilderness Area, about 30 minutes from Yampa. Half of the group brought their own horses, while the other half, including Schwerdtfeger, used horses from the outfitter. Saturday morning came bright and early at 4 a.m. Horses and packs were loaded, and the group set out to put in a traverse path to help with directions and clear the path of any logs. Schwerdtfeger and Dave were assigned a specific area and made the four-mile ride to the top of a hill without any problems. “Horses sometimes take a little time to get used to a new rider, but we didn’t have any issues,” he said. Unfortunately, they didn’t see a lot of elk tracks and called it a day about noon. 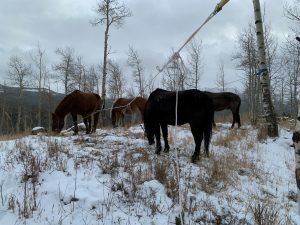 The hunting group used horses to access hunting ground in the Flat Tops Wilderness Area. Photo courtesy of Jeff Schwerdtfeger. Overnight, another four to six inches of snow fell in the area. Schwerdtfeger and Dave again headed up the traverse. They tied off their horses so they could assess their spot a bit better. They were glad to see a few more tracks in the area compared to the day before. In the quiet of the early morning, they soon heard three shots. Dave led the ride towards the other hunting party, with Schwerdtfeger following behind. They were in an open area when Schwerdtfeger’s horse, a younger mare, stumbled over something. The mare was still running full speed when she ran into the rear of Dave’s horse, knocking Schwerdtfeger’s feet out of the stirrups. Over the course of working as a paramedic and fire captain for 34 years, Schwerdtfeger has been “broken” several times and knows when that’s the case. Dave, a paramedic as well, rushed to Schwerdtfeger’s side, knowing not to move his injured friend. He did a quick assessment before leaving to get the other hunters for help. Luckily, one hunter had a cell phone that was able to pick up a signal. They gave emergency responders GPS coordinates to where Schwerdtfeger was, and then they waited. Two paramedics with Yampa Fire Protection District were the first to reach Schwerdtfeger. They completed an initial assessment and started an IV. 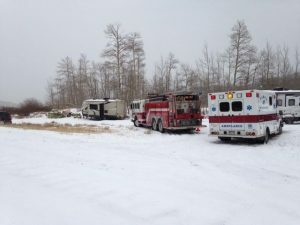 Additional responders, including an EMT who was able to administer pain medication, continued to arrive, including members of Routt County Search and Rescue (RCSAR). Emergency responders from Yampa Fire Protection District and members of Routt County Search and Rescue worked together to get Schwerdtfeger out of the back country. Photo courtesy of Jeff Schwerdtfeger. Yampa Fire had a litter, a basket used to help move someone. But carrying it down what Check-Hill estimated to be a 30-degree slope, wasn’t going to be an easy task. Once the wheeled litter arrived on scene and Schwerdtfeger was placed in it, rescuers slowly began lowering him out. They used 300 feet of rope, trees and team members to belay the basket down. Schwerdtfeger was then taken to UCHealth Yampa Valley Medical Center where emergency medicine physician Dr. Laura Sehnert received him. Schwerdtfeger was diagnosed with four broken ribs, a hematoma on his left lung and a bruised spleen. He said it was a great relief to know that none of the broken ribs had caused a pneumothorax. Schwerdtfeger said Sehnert explained everything in detail and appreciated that Dave was able to stay at his side. 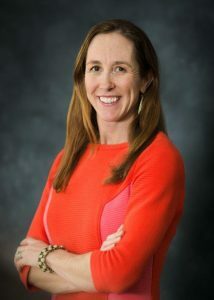 Dr. Laura Sehnert. Photo by UCHealth. That evening, Sehnert said Schwerdtfeger could stay the night or discharge from the hospital. He chose discharge, but there was no way he could go back to the base camp, and his hunting clothes had all been cut off. “Luckily, they were able to give me some clothes and slippers, and a recommendation for a nearby hotel,” said Schwerdtfeger. The next morning, Schwerdtfeger boarded a flight from Hayden to Denver, with Reno, Nev. as his final destination. Once in Reno, he headed straight to the radiology practice of his brother, Dr. Bob. Thanks to YVMC utilizing Epic as its electronic medical record, his brother was able to review his scans and was confident in the diagnosis Schwerdtfeger had received. And once home in Truckee, Calif., Schwerdtfeger’s primary physician was also able to review his chart. Schwerdtfeger took the next few weeks to recover from his injuries and is doing well. He even moved a half cord of wood just a month after the accident. “We had a trip planned to our home on Kona, Hawaii, so the ocean air may have aided in my recovery,” he joked. As for the rest of the hunt for the group? Some left the two-week hunt early, while others finished it out. The group ended up filling two of their elk tags. Schwerdtfeger said he’ll be back next year.